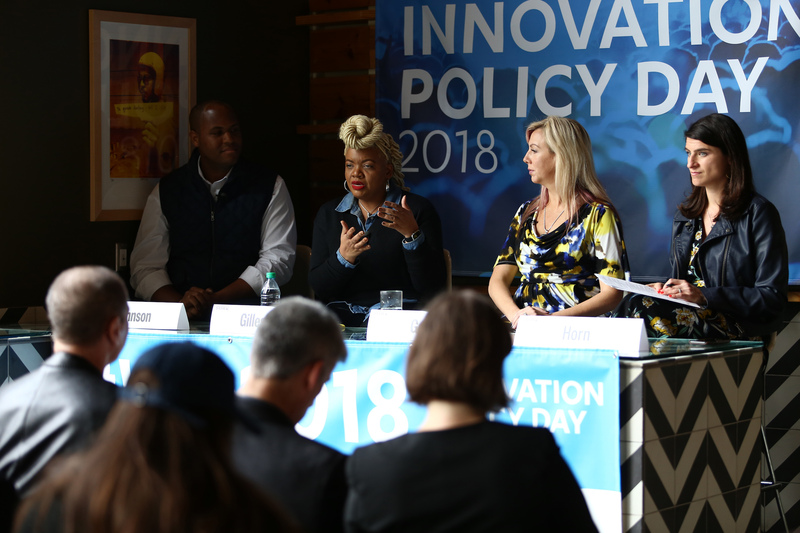 Our favorite discussion of the day was led by Rachel Horn, Director of Thought Leadership at CTA, on the importance of “Promoting Inclusion in Today’s Tech Industry” featuring Elizabeth Gore (President of Alice), Garrett Johnson (Executive Director of Lincoln Network), and Latasha Gillespie (Director of Global Diversity and Inclusion at Amazon). Diversity in User Testing and the Impact of A.I. When asked about the effect of “implicit bias” in artificial intelligence Gore explained, “AI and machine learning is going to take humanity to the next level...but like any technology or product it can be used for bad or good.” Gore remained optimistic about the impact AI can have on improving access to information and supporting communities on the margins. “It will give us an opportunity to look at the way people behave, where they’re from, their socioeconomic background, and the way they access information,” Gore said. Gore commended the work being done on bringing AI into rural communities and believes this technology will play a crucial role in delivering information to entrepreneurs in those areas. At the end of 2017, Garrett Johnson and the team at Lincoln Network surveyed tech professionals in Silicon Valley on the climate of viewpoint diversity in the workplace. “The data pointed to a problem in the tech industry which is that we are not creating an inclusive environment for people with center-right views,” Johnson explained. By embracing viewpoint diversity, Johnson believes more and more tech companies can create better models for increasing civility and reducing polarization in our democracy. Lincoln Network will soon be releasing a series of recommendations to provide guidance to tech companies looking to build an inclusive environment that is more welcoming to diverse viewpoints. Check out JoinLincoln.org for more information. “How do you teach people to have productive conversation on messy and complicated topics at work? The answer is you hit it head on,” said Latasha Gillespie, Director of Global Diversity and Inclusion at Amazon. While a conference to this scale isn’t possible at every company, Gillespie explained that what really drives conversations at Amazon is a set of “leadership principles” guiding all employees, no matter their title or position, to “learn and be curious” about diverse perspectives.